It’s been a few months since WrestleMania 30, and the WWE "season" has continued on as it always has. The one thing that will always remain from that show, however, is that the hallowed WrestleMania winning streak of the Undertaker is over. So, as a tribute to the greatest streak in the history of sports, here are my top 5 Undertaker WrestleMania matches. This is one hell of a back-and-forth that helps further solidify Edge as a convincing main-event player. Early on, Edge was able to counter a lot of Undertaker's go-to moves, and presented himself as a viable threat to the streak. Even through some heel tactics, via a television camera and a run-in from Curt Hawkins & Zack Ryder, Undertaker was still able to get the submission victory by trapping Edge in the Hell's Gate. 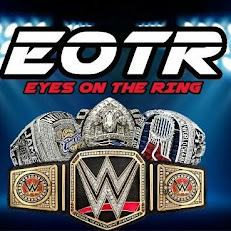 It awarded The Deadman his 16th consecutive victory at 'Mania, as well as the World Heavyweight Championship. 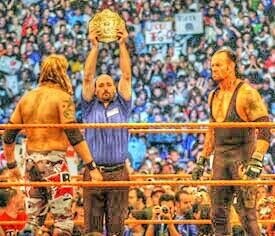 The rivalry between HBK and Taker goes back to the late 90s, and as Michaels was nearing retirement, there would be no better way for him to go out than to challenge the streak one last time. Even though they had faced each other at Mania the year before, this time the stakes were raised. 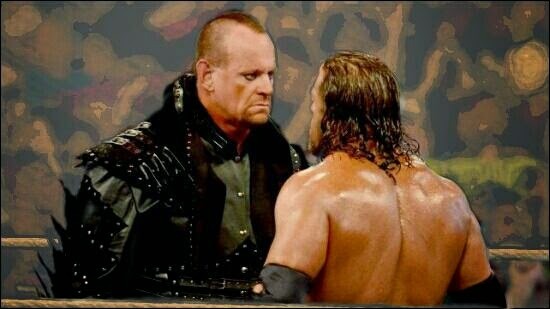 It would be the Undertaker's streak vs. Shawn Michaels' career. These two proceeded to have an intense and emotional confrontation at WrestleMania 26, which ended the same as always, with one more tally in the win column for The Deadman, and it was a fitting end for Mr. WrestleMania. The build to this match started when both men returned on the same night and made a silent agreement to face off again at 'Mania (their first meeting happened 10 years prior). They proceeded to have an absolutely brutal match at WrestleMania 27 in Atlanta. They damn near tore the arena down with them, as they battled everywhere around ringside. Seeing Hunter hit his spinebuster on Taker through the announce table still makes me cringe a bit. In a moment people still talk about as the moment of the match, Triple H hit a Tombstone Piledriver on Undertaker. Everyone in the Georgia Dome, and everyone at home, flipped out when Undertaker kicked out at 2. The match ended with Taker forcing Trips to tap to the Hell's Gate. In a picturesque moment, however, Triple H was the one who walked back on his own power, as Undertaker collapsed at ringside and was carted to the back. The beating that Undertaker took at the hands of Triple H at WM27 had haunted him to the point where he had to have a rematch. By this time, Triple H had assumed the position of WWE COO, and was committed to his new job behind the scenes. The Undertaker had different plans, however, as he wouldn't drop the issue, eventually breaking the camel's back by insinuating that he couldn't do what Shawn Michaels couldn't do, and that Shawn was better than him. This led to Triple H accepting the rematch for WrestleMania 28, under the stipulation that they meet inside Hell in a Cell. Over the coming weeks, Shawn Michaels would become involved as the special guest referee for the match. These men went on to tell one of the most emotional in-ring stories ever. These two beat the absolute hell out of each other. Reversal after reversal, chair shot after chair shot, near-fall after near-fall, these two held nothing back. At the end of the match, a battered Triple H took one last swing and was met with a Tombstone Piledriver for the 3-count. I don't think there was a dry eye in the house as this war signified the end of an era. This isn't only the Undertaker's greatest match at WrestleMania, this is, quite possibly, the greatest match of all time. The build told the story of Shawn, representing the light, battling the darkness of the Undertaker. Their entrances at WrestleMania 25 further drove that point home, as Shawn descended on a platform, dressed in white to symbolize the light, and 'Taker rose up through the floor and made another one of his chilling signature entrances. This match was fast-paced from the beginning, as both men landed heavy strikes and didn't let up an inch. This entire match had fans everywhere on the edge of their seats, with near-falls and reversals and finishers galore. One spot in particular has the world hoping for the Undertaker's well-being, as he went for his patented suicide dive to the outside, only for Shawn to move out of the way and pull the cameraman in to break 'Taker's fall, but he nearly broke his neck when he hit the ground. The match ended when HBK went up top to attempt a moonsault, only for Undertaker to catch him and deliver a devastating Tombstone Piledriver for the win. Fans everywhere were on their feet chanting for both men, and matched like this make us proud to be fans of pro wrestling. This is one that will be talked about forever.